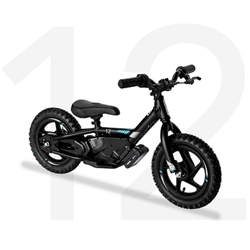 The STACYC 16EDrive is for kids with perhaps a little experience on a balance bike, or are a little taller and/or more familiar with riding STACYC Stability Cycles and need a larger platform. Your child can learn to push, balance, and coast in the Non-powered mode. Graduate them to the powered mode (the holy grail of fun) as they show proficient use and understanding of the brake and the ability to coast and brake while standing. Start them with a speed similar to what they can push the non-powered version at, and they learn the use of the twist throttle, and a long coast turns into a constant use of throttle and giggles. As they continue to develop skills, the medium speed of the 16EDrive allows for an exceptional amount of fun outdoors, getting thousands of hours of hand-eye coordination, balance, and outdoor exercise. 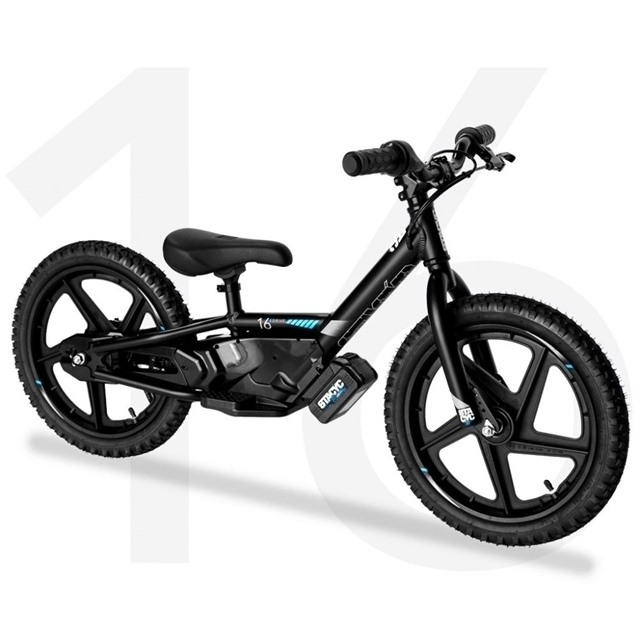 The 16EDrive is perfect for 4-8yr old rippers under 75lbs, with 18-24” inseam 16” Composite Wheels with Pneumatic tires Seat Height: 17" Weight: 19lbs with battery Frame: Aluminum TIG Welded and Heat Treatment Fork: Steel, bmx style Proprietary drive system Power selection modes: Low/Training mode ~ 5mph Med/Transitional mode ~ 7.5mph High/Advanced mode ~ 11mph Thermal protection for motor and controller BMX chain and freewheel Industrial Grade, Lithium-ion Battery and Charger* Quick disconnect/connect battery 20Vmax Voltage(18Vnom) 4Ah 45-60 min run-time** 45-60 charge time *1 battery and charger included **Run-time is entirely dependent on terrain, hills, and skill level. Run-times are estimates and can vary. Hello, I would like more information about the 2018 STACYC STACYC 16EDRIVE, stock# STACYC-2. Hello, I would like to see more pictures of the 2018 STACYC STACYC 16EDRIVE, stock# STACYC-2. Ready to drive this 2018 STACYC STACYC 16EDRIVE? Let us know below when you are coming in, and we'll get it ready for you.